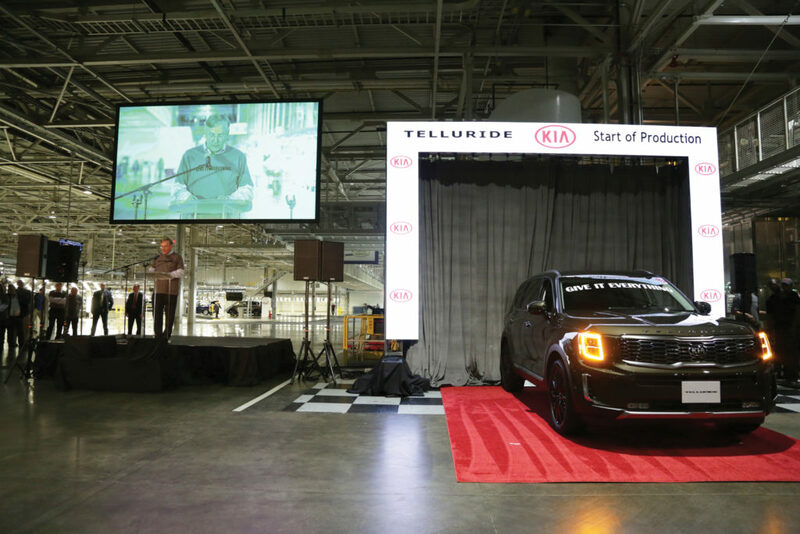 Hot on the heels of the announcement that Kia Motors Manufacturing Georgia would be the home for the South Korean automaker’s big new SUV, the Telluride, the plant’s boss opened up about Kia’s place in the industry and it’s home community in the Peach State. 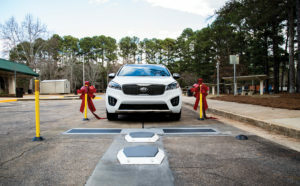 Stuart Countess, chief administrative officer and vice president of KMMG, talked about his work and Kia’s workforce and educational outreach, as well as other aspects of the company’s connections in Georgia. Q: You’ve had a pretty varied career. How did what you did before, particularly at Mercedes, prepare you for your role at Kia? Stuart Countess: During my career, I have had the opportunity to work in several different areas supporting the production operation. The exposure to various areas of automotive production systems has allowed me to understand the importance of each discipline and how they are interrelated, which is key to addressing the various challenges faced in managing a successful operation. Q: Does your history in LaGrange (if I understand correctly) factor into your thinking or how you approach your role at Kia? SC: My working career began in LaGrange in 1988. Familiarity with the local area and having worked with its workforce prior to KMMG has helped me to recognize its strengths and develop a plan of how to integrate these characteristics with the automotive industry disciplines. Q: What’s the most rewarding aspect of what you do every day? SC: I like the variety of challenges that come with the job each day. Having a good working relationship with all of our team members and our shared goal to be successful, is most rewarding. Our KMMG team members and their passion to be the best is what truly sets us apart. Q: What are the challenges that Kia faces in the marketplace and how does your operation deal with those? SC: We are certainly dealing with the change in consumer product demand. Shifting to a more CUV/SUV product mix is critical. Yet, we still are able to meet the mid-size sedan demand. Our flexibility to quickly shift to marketplace demands is understood by our team. However, we always recognize that we have to provide our consumer with a high quality product as we compete against others in the same segment(s). Q: Talk about how KIA sees something a lot of car companies are talking about now — mobility. What does that term mean to you and how does Kia approach it? SC: Mobility, related to the automotive industry, can have various definitions… but for me, it’s the integration of the new technologies into, and within automobiles. Today’s vehicles are capable of communicating with their drivers, occupants, as well as their surroundings. Using this technology, we are able to improve the overall experience in a number of areas from a customer perspective. From a manufacturing perspective, our job at KMMG is to ensure that our assembly processes and testing procedures deliver a high quality product to our end customer. Q: Tell us about your work with The Ray and why that’s important to you? SC: We have a unique opportunity with “The Ray.” This stretch of interstate fronts our plant on I-85. We have partnered with “The Ray” on several different projects over the past four years. As a maker of automobiles, the mission of “The Ray” matches with Kia’s objective of being an innovative company. Therefore, we should work together to improve the roads, safety and communication systems, etc. and how cars utilize these roadways. Q: Kia’s been involved in Troup County for some time. How have you been giving back to the community there? SC: We focus primarily in two areas. One [is] workforce development. And two [is] corporate social responsibility and volunteering. Q: Let’s talk about workforce development. SC: We have partnered with the SAE Foundation to sponsor “A World In Motion” programs in our local elementary school systems. These classroom activities promote the practical use of “STEM” subjects, encouraging/developing critical thinking and problem solving. KMMG was a founding member of the THINC College and Career Academy. This academy is an opportunity for high school age individuals to experience different areas of potential job opportunities. It provides “hands-on” experiences that allow the individual to further evaluate for future educational advancement or a future career path (i.e. job). We also have implemented a Work Based Learning Program. 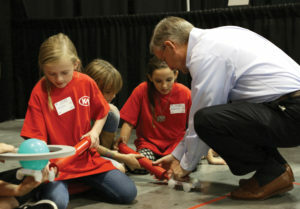 Kia partners with the SAE Foundation to sponsor A World in Motion programs in a local elementary school. The goal of this program is to recruit the very best high school students, and provide them with an outstanding experience at KMMG (which includes project work), and to establish a strong source to recruit from for full-time employment. Our program is very hands on while giving students real world experience in the manufacturing environment. In addition, we work with the Technical College System of Georgia (TCSG) to provide input on future educational pathways that we see a need in coming products/product developments. Also, we provide tours for every 8th grader in Troup County and many other counties in Georgia, showing these young individuals what a manufacturing environment offers. There is a misconception about manufacturing and the many fields of opportunities that are involved. By providing a tour/insight, we are looking to generate interest in a future workforce who could be the next team members of a manufacturer. Q: What about social responsibility and volunteering? SC: KMMG takes pride in our community through involvement and support of various local civic and development organizations. Through our CSR program, we recognize a positive impact in our community and its citizens. We sponsor a 5K event each year to promote healthy living, as well as local community enhancement projects throughout the year. Our Team Members volunteer for various KMMG sponsored events and participate in charitable giving programs including Back To School initiatives, Toys for Tots, and KMMG Matching Gift programs. Q: THINC is one project that you’re involved in related to workforce development. What’s the most important takeaway from your standpoint? SC: KMMG is proud to be involved with the THINC College and Career Academy. It provides a foundation for the workforce of the future to explore their future opportunities and guides their decisions on the educational and career choices they might pursue. I feel that the impact of this program will be felt in an increasing measure over the years within this community. Q: What’s next for Kia from a manufacturing standpoint? SC: We just launched the 2020 Telluride. This is Kia’s largest vehicle in the CUV/SUV segment. It is a vehicle designed in our California studios and was targeted for the American market. It addresses many of the consumer requests from previous CUV/SUV products. It provides options for a 7 or 8 passenger seating configuration, includes a number of different advanced safety features (blind spot detection, rain sensing wipers, highway drive assist, smart cruise control etc, that set this product apart from our competition. This product will only be manufactured in West Point, Georgia and will be exported to many countries outside the US. Q: If there’s one thing people should know about your Kia operations, today, what would it be? 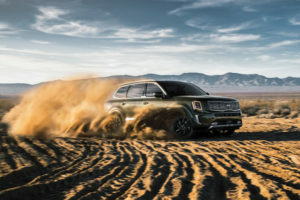 SC: If you had the opportunity to see Kia’s Super Bowl commercial introducing the 2020 Kia Telluride, you were introduced to the people of Telluride. Our workforce and the community were on display in this advertisement. The words in that ad truly depict our team, “We are not known for who we are, we hope to be known for what we do, what we build…” This is a team that “Gives it Everything” with each vehicle and now it will be sharing it with the world.